« Revista Ciencias de la Vida, La Granja» is a bilingual scientific publication from “Universidad Politécnica Salesiana”, Ecuador. This journal started in 2002 and has a fixed biannual periodicity. La Granja covers the topics of Environmental Sciences, such as: Earth Sciences, Geosciences, Biotechnology and Agricultural Sciences, among others. Contents are peer-reviewed in accordance with the publication standards and follow a double-blind examination, guaranteeing the authors an impartial and transparent review process, facilitating the inclusion in the reference databases, repositories and international indexing. La Granja uses Harvard style citation rules. «Revista Ciencias de la Vida, La Granja» is indexed in SCOPUS, Emerging Sources Citation Index (ESCI) web of Science; LATINDEX catalog, Regional Online Information System for Scientific Journals of Latin America, the Caribbean, Spain and Portugal. It is part of the Directory of Journals of Open Access –DOAJ; it also belongs to the Ibero-American Network of Innovation and Scientific Knowledge, REDIB; Network of Scientific Journals of Latin America and the Caribbean, Spain and Portugal, REDALYC. It is part of the Information Matrix for the Analysis of Journals, MIAR; the Academic Search Engine of Bielefeld, SINDEX and it is in repositories such as ACADEMIC ONEFILE, libraries and specialized catalogs of Latin America. Each number of the journal comes in a printed (ISSN: 1390-3799) and electronic format (e-ISSN: 1390-8596), in Spanish and English. Each paper is identified with a DOI (Digital Object Identifier System) number. All articles are published in order to access their content in an open way without restrictions in the submission, review and publication phases of the manuscripts. All manuscripts must be submitted through the Open Journal System (OJS), which guarantees the electronic and auditable recording of the interactions between the publication and the authors. Once set, the Editorial Board checks that the originals comply with the purpose and scope of the publication, including the Author Guidelines. The texts that fulfill with the requirements of this first phase continue with the editorial process. All manuscripts are reviewed by the "double-blind peer-review" arbitration system with experts of the subject that do not belong to the institution of the authors. This process guarantees the anonymity of the documents, authors and reviewers, certifying the transparency, objectivity and impartiality of the review process. The review report used by external reviewers can be found here. The process of complete revision, from the moment of the submission of the manuscripts through the OJS until the completion of the reviews takes an average time of 8-10 weeks, except incidents. Reviewers must also comply with the ethical code of reviewers. 1.1 «Revista Ciencias de la Vida, La Granja» is an open access journal which is entirely free for readers and authors, and favors and allows the reuse and self-archiving of articles in databases, repositories, directories and international information systems. In this sense «La Granja. 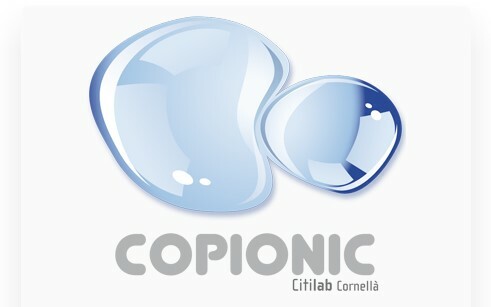 Revista de Ciencias de la Vida» has a Creative Common Attribution-NonCommercial-ShareAlike 4.0 International License. The journal is published in a double version: printed (ISSN: 1390-3799) and digital (e-ISSN: 1390-8596), in Spanish and English, each paper being identified with a DOI (Digital Object Identifier System, included in the DOAJ Open Access directory. The journal only retains the rights to publish the papers in the print and digital versions. (a) Authorship and the original source of publication (journal, editorial, and URL of the work) are credited. (b) Articles will not be used for commercial purposes. (c) The existence and specifications of this license are mentioned. 3.1 «Revista Ciencias de la Vida, La Granja» is an open access journal. 3.2 Conditions of self-archiving: authors can reuse the published works, i.e. archived post-print (or the final version after peer-review or the PDF version of the editor), for non-commercial purposes, including the deposits in institutional, thematic repositories or personal web pages. 4.1Readers have the right to read all our articles for free once published. This journal does not have any economic charge for the publication or for access to the material. 5.1 The articles of «Revista Ciencias de la Vida, La Granja» are available in reliable third-party repositories (i.e Redalyc, Latindex, institutional repositories…) immediately after their publication. 6.1 This journal uses different national and international repositories that host publications: Redalyc, Latindex, Dialnet, REDIB... The Portico and Universidad Politécnica Salesiana institutional repository digital files to warrant indexing. 7.1 The complete text, metadata, and citations of articles can be tracked and accessed with permission. Our open social policy also allows the readability of the files and their metadata, facilitating interoperability under OAI-PMH protocol of open data and open source. Files from full-length publications and their article are available in open HTML, XML, PDF, E-Pub and ISSUU formats. «Revista Ciencias de la Vida, La Granja» as an international journal of excellence is inspired by the ethical code of publications prepared by the Committee on Publication Ethics (COPE) and aimed to editors, referees and authors. Originality and plagiarism: The authors of the manuscripts sent to « Revista Ciencias de la Vida, La Granja» guarantee that the submitted work is original and that the manuscripts neither contain extracts from other authors nor contain other fragments from written works that were previously published (by the same authors). Furthermore, the authors confirm the veracity of the data, namely that the empirical data have not been altered to verify hypotheses. Publications multiple and /or repetitive: The author should not publish articles that repeat the same search results in more than a scientific journal. The simultaneous proposal of the same contribution to multiple scientific journals is to be considered ethically improper and reprehensible. Authorship: The authors guarantee the inclusion of those individuals who have made a scientifically significant and intellectual contribution to the conceptualization and experimental design of the work, and have also made a contribution to the interpretation of the results and the development of the article. At the same time, the authors have been hierarchically organized in accordance to their level of responsibility and their corresponding roles. Access and Retention: If the editors consider appropriate the authors of the articles should indicate the sources or the data on which the research is based. Conflict of interest and disclosure: All authors are required to declare explicitly that there are no conflicts of interest that may have influenced the results obtained or the interpretations proposed. Authors must also indicate any research funding agencies and/or the project from which the article is arisen. Errors in published articles: When an author in his/her article identifies a significant error or inaccuracy, the person shall promptly inform the editors and provide them with all the information required to list the relevant corrections at the bottom of the article. Responsibility: All the authors are responsible by the information written. The authors pledge that they have revised the most up-to-date and relevant materials about the subject matter; thereby, taking into account the dual nature of different aspects. Contribution to the editorial decision: Peer review is a procedure that helps editors to make decisions on the proposed articles , and also allows the author to improve the contribution submitted for publication. The reviewers are committed to performing a critical, honest, constructive, and unbiased review of both the scientific and the literary quality of the written work based on their individual skills and knowledge. Respect of time: The referee who cannot complete the task proposed or who are not able to finish the evaluation of the proposed contribution in the scheduled time is required to promptly notify the coordinators. The reviewers are committed to evaluating the works in the minimum time as possible in order to respect the stated deadlines, given that the journal’s policy for holding pending documents is limited and restricted for the purpose of respecting authors and their works. Confidentiality: Each assigned paper should be considered confidential. Therefore, these texts should not be discussed with other people without the explicit permission of the editors. Objectivity: The peer-review must be conducted in an objective manner. Any personal judgment about the authors or contributions is considered inappropriate. The referees are required to give adequate reasons for their judgments. The reviewers will submit a complete and critical report with adequate references according to the review protocol and the established public norms for reviewers, especially if the paper is recommended to be rejected. Authors are obliged, moreover, to advise the editors whether substantial sections of the work have been previously published, or if they are being revised by another publication. Text display: The referees must accurately indicate the bibliographical references of fundamental works possibly neglected by the author. The referee must also report to the editors any similarities or overlaps between the text received and other works known by him/her. Conflict of interest and disclosure: Confidential information or information obtained during the peer-review process must be considered confidential and may not be used for personal purposes. The referee shall not read articles with any conflict of interest due to previous collaboration or competition with the author and /or his/her institution. Anonymity: To ensure that the review process is as objective, unbiased and transparent as possible, the identity of the authors is deleted before the papers are submitted for peer review. If the identities of the authors, their institutional affiliations or any other information that compromise the anonymity of the document appear, the reviewer must notify the publishers immediately. Decisions on publication: The editors guarantee the selection of the most qualified reviewers and scientists specialists to perform an expert and critical appreciation of the manuscript. «Revista Ciencias de la Vida, La Granja» opts to select between 2 and 3 reviewers for each manuscript to ensure more objectivity in the revision process. Confidentiality: The editors and members of the working group are committed to keeping private the information related to the articles submitted for publication to other people other than the author, the referees and the editor. Editors and the Editorial Board are committed to maintaining the confidentiality of the manuscripts, their authors and their reviewers, in such a way that anonymity preserves the intellectual integrity of the whole process. Conflict of interest and disclosure: The editors will never use in their research papers submitted for publication without the written consent of the author. to comply with the published deadlines (up to 60 days in accepting/rejecting from the submission of the manuscript in the review platform and maximum of 150 days from the beginning of the scientific review process by experts). If the research has to do with living beings, all investigations must have the permits and authorizations according to the legislation of the country where the study is carried out (Environmental Permits, Institutional Ethics Committees Approvals, copies of the test, individual consent, etc.). These documents should be indicated in detail in the manuscript submitted, including the registration number, permission or approval. The editors may request the authors, if necessary, to prove that these permits have been carried out. Papers may be rejected even if the research had the ethic committee approval. Consent (for being part of the research) If research is done in humans, editors should ensure that a statement on the consent procedure is included in the paper. In most cases, written informed consent is the required norm. If there is any concern about the consent procedure, if the research is done in vulnerable groups, or if there are doubts about the ethical conduct, editors should ask to see the consent form and enquire from authors (exactly how consent was obtained). Consent (for publication) For all case reports, small case series, and images of people, editors should require the authors to have explicit consent for publication (which is different from consent for being part of the research). This consent should inform participants which kind of journal the work will be published in, make it clear that, even though all efforts will be made to remove unnecessary identifiers, complete anonymity is not possible, and should be stated that the person described has seen and agreed with the submitted paper. Data protection and confidentiality Editors should critically assess any potential breaches of data protection and patient confidentiality. This includes requiring properly informed consent for the research presented, consent for publication where applicable (see paragraph 6.3), and having editorial policies that comply with guidelines on patient confidentiality. Adherence to relevant laws and best practice guidelines for ethical behavior Editors should require authors to adhere to relevant national and international laws and best practice guidelines where applicable, for example, when performing animal research. Editors should encourage registration of clinical trials. Scientific Articles: Between 5,000 and 6,000 words of text, including title, abstract, introduction, materials and methods, results, conclusions, tables, figures and references. The references must be cited, must be updated and selective from around 40 articles. Point of View: Between 3,000 and 6,500 words of text, including title, abstract, introduction, conclusions and references. They must be justified with sufficient references on current topics which require discussion at a scientific and/or technical level. The references must be cited, must be updated and selective from around 30 works. Reviews: Between 6,000 and 7,000 words of text, including references. The references must be cited, must be updated and selective from around 50 works. «La Granja» has a team of international reviewers, experts in the topics of the journal and who are part of the International Council of Reviewers; names which are made public the following year of their activities to guarantee their anonymity. All «La Granja» reviewers must operate according to the Code of Ethics of the publication. When sending the reviewers the original paper for its evaluation, they will also receive the Manuscript Evaluation Protocol for scientific articles, as well as for points of view or reviews. «Revista Ciencias de la Vida, La Granja» in its efforts to maintain the novelty and originality implemented an anti-plagiarism software that can recognize non-original documents, indicating the source. In order to this, different special services are used, such as the Urkund system, which analyzes texts for grammatical and ortho-typographical matches, ensuring the works are unpublished, and guaranteeing -in compliance with the quality standards of the editorial board- the own scientific production. Additionally, «Revista Ciencias de la Vida, La Granja » offers the authors and reviewers, as well as the scientific community, a set of specific tools in the detection of plagiarism: Grammarly, Plagium, Copionic, WriteCheck, PaperRater, Plagarisma.net, Viper Plagarism Scanner or CrossCheck. It is a set of free and open access systems that supervise the originality of any manuscript and allow controlling plagiarism. «La Granja. Revista de Ciencias de la Vida» in its efforts to maintain the novelty and originality implemented an anti-plagiarism software that can recognize non-original documents, indicating the source. In order to this, different special services are used, such as the Urkund system, which analyzes texts for grammatical and ortho-typographical matches, ensuring the works are unpublished, and guaranteeing -in compliance with the quality standards of the editorial board- the own scientific production. Additionally, «La Granja. Revista de Ciencias de la Vida» offers the authors and reviewers, as well as the scientific community, a set of specific tools in the detection of plagiarism: Grammarly, Plagium, Copionic, WriteCheck, PaperRater, Plagarisma.net, Viper Plagarism Scanner or CrossCheck. It is a set of free and open access systems that supervise the originality of any manuscript and allow controlling plagiarism. «La Granja» (pISSN: 1390-3799, eISSN: 1390-8596) is an international, physical, electronic, bilingual and bimonthly journal dedicated to the publication of original scientific articles reviewed by academic peers or scientific referees. 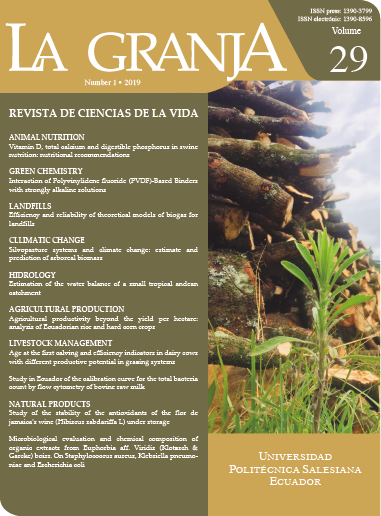 La Granja is a journal dedicated to investigations related to chemical, biological, environmental, health, agronomic, livestock and veterinary sciences. «Universitas» is a bilingual scientific publication of Universidad Politécnica Salesiana, Ecuador, that started on January 2002 and has a semi-annual periodicity. It is specialized in Social and Human Sciences and its interdisciplinary lines: Sociology, Anthropology, Social Psychology, Social Development , Communities, Latin American Studies, Sociopolitical Processes, among others. «Retos» is a bilingual scientific publication of Universidad Politécnica Salesiana Ecuador, published since January 2011 with a semiannual periodicity (April 1st and October 1st), and specialized in Development and its disciplinary lines such as Public Administration, Social Economy, Marketing, Tourism, Entrepreneurship, Management, Administrative and Economic Sciences, among others. Sophia's goal is to theorize education from a philosophical point of view, with data from individual and collective psychology, teaching-learning experiences, sociology, culture and the development of empirical sciences, to renew, update and better articulate the conceptual, procedural and experiential level of education sciences. The goal of «Alteridad» is to contribute, from the Ibero-American context, to the socialization and debate of academic production in the field of Education, in the following lines: Curriculum and Cultures, Educational Policies and Teacher Training, Educational Evaluation, Education and Technologies, Special and Inclusive Education, and Education in relation to the other Social Sciences. Publication dedicated to studies related to the sciences of Mechanical Engineering, Electrical Engineering, Electronics and Computer Sciences, the contributions are also integrated in what is now known as Mechatronics.